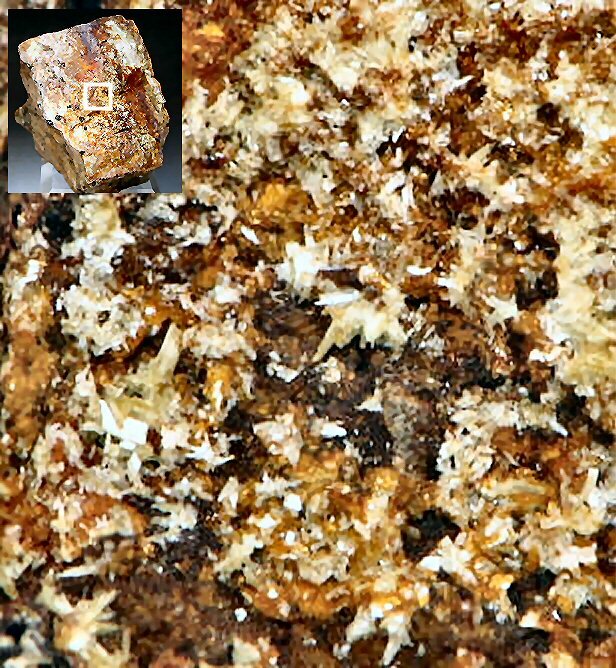 Comments: Micro crystals of pale yellow metalodevite to 1 mm. Location: Rivieral, Lodeve, Herault, Languedoc-Roussillon, France. Scale: Specimen Size 5 x 2 x 3 cm.